Used Conn Single Bb French Horn. 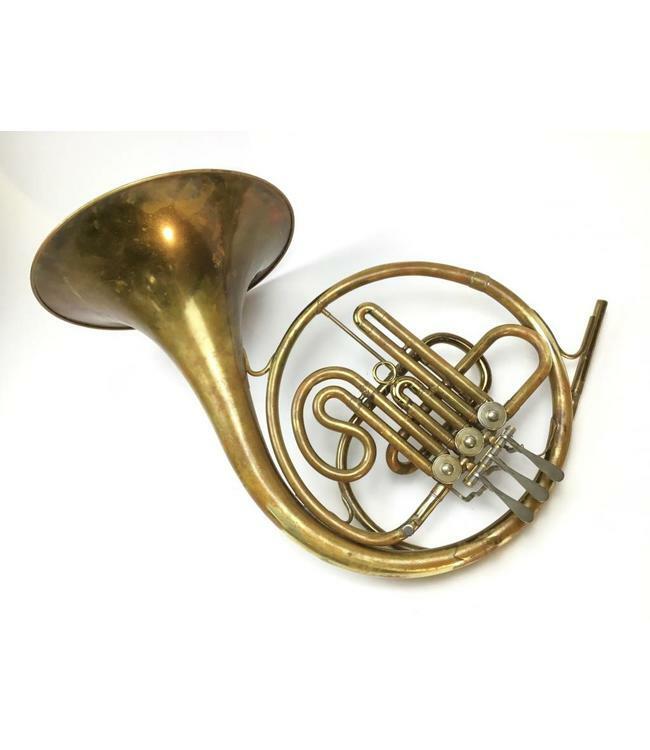 This french horn is has a 12" yellow brass bell, and a .468 bore size. This instrument has very little lacquer left, surface scratches throughout, a few minor dents, signs of leadpipe repair and some brace resoldering. Comes with original case and an EZ Tone Mouthpiece.